As we age, natural changes occur to our skin like thinning and drying. Visible lines can appear and even the shape of the face may become less full. Fortunately, while getting older is inevitable, there are things we can do to help keep our skin looking its best. 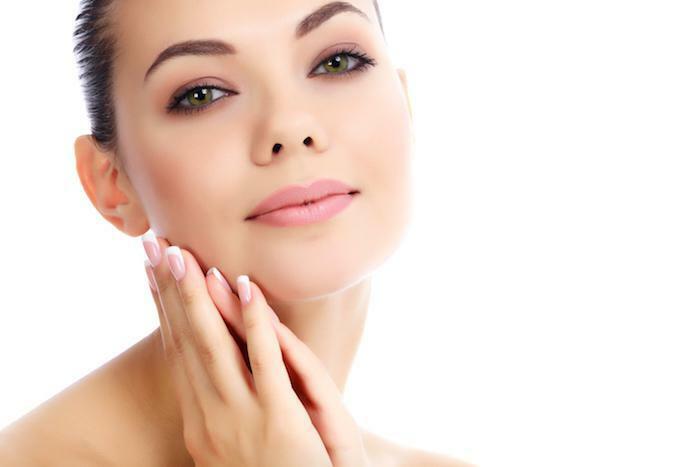 Here at Lasercare Skin Clinic, Dr. Bruce Sanderson offers a wide range of state-of-the-art services, from laser and medical spa treatments to injectables and fillers to help combat the changes time, genetics, and lifestyle choices have made on your appearance. With over 40 years' experience, Dr. Sanderson can determine which treatment protocol would help you best meet your goals. Light therapy is one possible option. When we’re young, the epidermis (aka outer layer of our skin) is typically smooth and unblemished, serving as a good barrier to prevent injury. Collagen makes the skin firm, elastin gives it elasticity, and glycosaminoglycans (GAGs) keep it moist and hydrated. These elements are all present in ample amounts in healthy skin. Over time, however, both intrinsic and extrinsic aging occur. Intrinsic aging happens naturally as years pass and includes the loss of about 1% of collagen in the skin annually after age 20. Amounts of elastin and GAG also decrease along with reduced functioning of the oil and sweat glands. All these changes result in thinner, more fragile skin and a minor amount of wrinkles. Extrinsic aging occurs from exposure to the sun and environmental damage like smoking and pollutants. Freckles, sun spots, and lesions including various types of skin cancer are examples of extrinsic aging. It also contributes to even more loss of collagen, elastin, and GAGs and leaves the skin thin, rough, and uneven in tone as well as suffering from deep wrinkles. To prevent further problems going forward it's important to always wear sunscreen that includes protection against both UVA and UVB rays and avoid smoke and other pollutants. But what about the damage that's already been done? Light therapy can help. Light therapy (also known as LED therapy and previously as phototherapy) has been used for over 50 years in the treatment of a number of ailments including chronic pain, joint issues, and soft-tissue injuries, among others. Experts noted that in addition to assisting in the treatment of the diagnosed problem, light therapy also improved superficial cosmetic conditions. 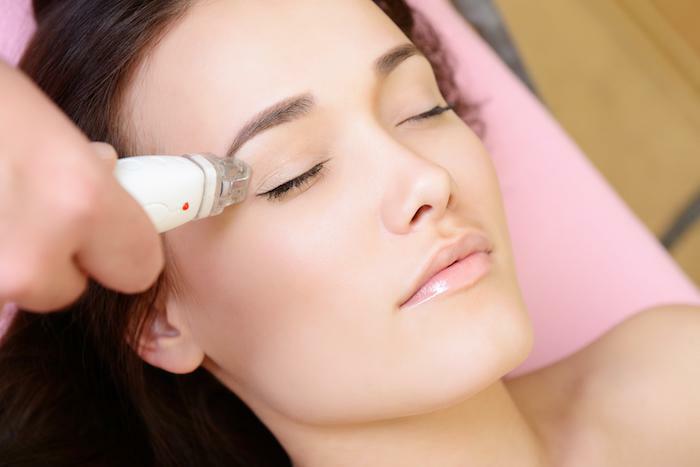 Today, light therapy is used to treat a variety of cosmetic issues. Red light therapy employs red, low-level wavelengths of light to create a biochemical effect that allows cells to repair damage and function more efficiently. It also stimulates new collagen production. This helps combat fine lines and wrinkles, sun spots, and discoloration. Blue light therapy can help improve acne by reducing bacteria in the skin, while yellow light therapy clears toxins and increases lymphatic flow to the skin. What you may not know about light therapy is that it directly encourages regeneration of the skin and that, unlike lasers, it doesn’t cause any damage and avoids pain or side effects. If sun, the environment, and living life have taken a toll on your skin, one of our treatments with light therapy might be right for you. To make an appointment with Dr. Sanderson, call us at the Lasercare Skin Clinic in Little Rock, Arkansas, or click to book it online. The natural aging process isn’t very kind. It seems we are all programmed to begin losing skin elasticity in our 20s. Learn how to reclaim your youthful appearance with Venus Freeze™ skin treatments. Do you sigh when you look in the mirror because you’ve worked hard in the gym and still have pockets of fat? SculpSure®, a leading body contouring system, may be the answer you’ve been looking for to help you reduce those bulges. If you want your skin to match your youthful spirit, but you’re leery of surgical techniques, Enhanced Skin Rejuvenation may be the perfect solution.